Renn Blackman has deservedly carved out a reputation as a brewer of clean, tight and, usually, to style beers. But every now and then he likes to get a little loose on the brewhouse, and that's the case with the Torquay brewery's latest limited release, a winter saison. It's a collaboration of sorts with ingredient supplier Bintani, which has supplied Renn and his team with a new saison yeast from Fermentis. To see how it performs, you'd have thought they might opt for a simple saison recipe. But not this time. 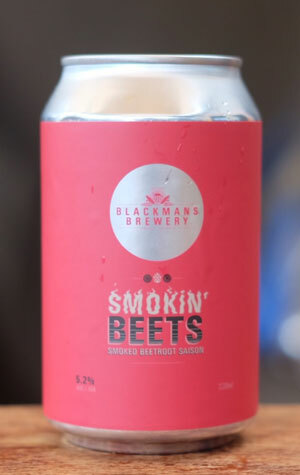 Instead they've added cherrywood smoked malt and smoked beetroot to the mix. The result is red in colour and, we're told, "spicy, smoky and earthy". It's launched at the brewery and their Geelong bar on tap and in tinnies on July 28 before heading further afield.